The past week I had a night on the town, started a new co-op with my youngest, started swim lessons with my oldest, spent quality time with an old friend, and chaired a preschool committee meeting. These activities are not very impressive or taxing to the average human. But that’s more socializing, organizing and interacting in one week than I’ve had in a while. So my interweb activities took a hit. Not a bad thing, I realize. That said I didn’t read a ton this week but I’ll share two things that I liked. My sister recently had her first baby so I’ve been trying to give her useful advice here and there without being overwhelming or annoying. The main thing I’ve wanted to convey is not to stress too much – parenting is messy, there isn’t a single solution that works for all kids or parents, and you can’t obsess too much about all the advice or tips you read or you will inevitably walk away feeling like YOU’RE DOING IT WRONG. I toyed with the idea of writing a post about this, but this one, My Advice to New Moms, by JJ Keith says it better than I could. 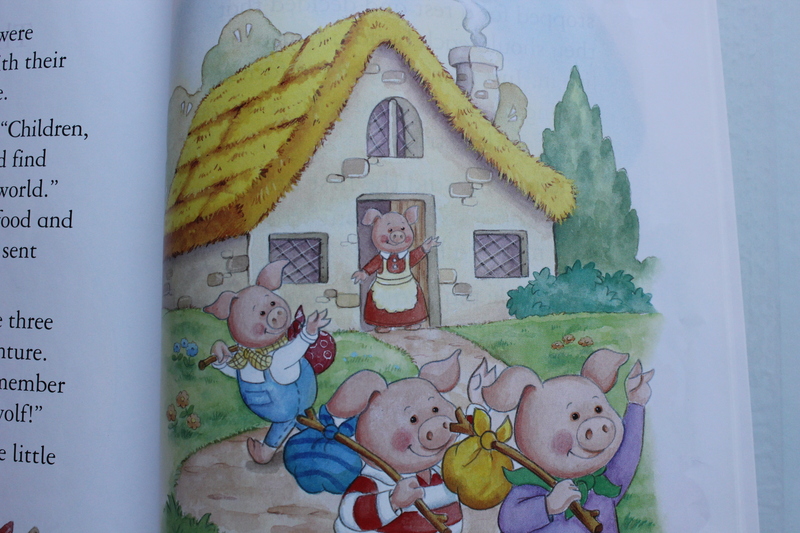 Earlier this week while reading bedtime books to my daughter, my husband could not contain his laughter at the heartlessness of Mommy Pig in this rendition of Three Little Pigs. At least she gave them a snack before sending them to their death. It’s a poorly written book – I think I got it at Jo-Ann Fabrics for a dollar. Today I finally removed it from the bookshelf rotation. There are a ton of great children’s books out there, but there are also a lot of crappy weird ones (especially if you shop in the dollar bin at a fabric store). This older post from the blog Wait in the Van critiques the children’s book Love You Forever. I’m actually not familiar with the book, but the post still made me laugh out loud. Lastly, several months ago my husband and I were trying to make Chewbacca noises on a Friday night. Yes, this is how we entertain ourselves when we can’t afford a date night. That’s when we stumbled on this little gem of a tutorial. Just wanted to share in case anyone needs to master this skill for a Halloween costume or fancy dinner party. Gawd I love the Interwebs. Very intuitive critique on Love you Forever by Wait in the Van blog. I have read the book with my children many of times and have to say, I did find it corny but the saying is kind of sweet and catchy. But after reading the critique I have to agree, it is down right creepy. Made me laugh so loud my neighbor heard and had to see what I was laughing at, thanks for the entertainment today! And great work on your achievements this week, they ARE a big deal! I cannot even believe you are chairing a preschool committee meeting, that’s definitely not small potatoes. Glad you liked it. I bet you won’t be able to read that book again without laughing. You crack me up with your Chewbacca noises.We’ve had a few really bad books floating around here like one about a farting dog that has too many words and creepy pictures. We get a lot of our books at thrift stores. Sometime we hit the jackpot and sometimes we don’t. I’m going to check out the posts you suggested right now! Maybe I should kill two birds with one stone and write a children’s book about how, and maybe more importantly – why/when/where, to make Chewbacca noises. Or not.